March 27: 5 POWER Lessons From 5 Leaders Who Made History On This DAY! Leaders who've achieved do not have any super powers or extraordinary qualities. The only way they are different from us is by utilizing all their abilities and capabilities they are blessed with. Although all of us are showered with the same qualities and intelligence, only few stand out. How did they manage to make it happen? Uncover the solution yourself! Human mind has the power to create wonders and destroy the ‘bad.’ Hence, it is clear that how we drive our mind, how we set the stereotype and how we try to shape our thoughts directly reflect us on the whole. There may be hundred reasons for your idea not to work, but there would surely be one reason for it to. When we can stop ourselves by thinking about those hundred reasons, why can’t we proceed just because of that one solid and golden reason which can land growth into your life? Courage is not only about how well you complete the taken up task, it is also about accepting and believing in your abilities and deciding right. Remember one thing, none of us know what happens the next minute, we can never assure in any way if our plan is going to take us high up to our destiny or not but the whole point is making your thoughts, a sequence of all that you want to see after projecting your action. 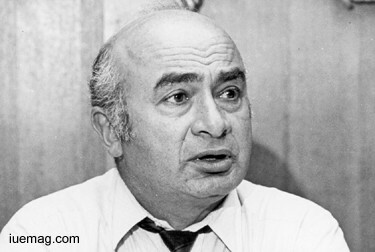 The co-founder of Chess Records, Phil Chess was an American record producer and company executive. After dedicated serving at army during the second world war, he walked towards the line of his interest. He soon joined to run a popular club, the Macomba Lounge and later extended his prospects to partner in a local musical recording company. It was this company that he strived to co found and is called Chess Records. He influentially acted as a cause for the successful development of his recording company. World maybe beautiful and so is your life! But it is equally competitive. When it comes to winning and walking towards success, the attitude of lifting others deteriorates because we all ultimately want to rank 1 and only 1. Grabbing opportunities for ourselves dominates over lending them for others to learn as well. Otto Wallach is on such personality who experienced such a reality yet dived deep in to the desire to succeed with the help of what is called passion. He was really keen towards pursuing his dreams and hence, though subjects of science weren’t abundantly taught at school, he stood as the definition for the term- hard work; he profoundly learnt all that required for him to turn into an intellect. His perseverance led him earn a doctor's degree. If you don’t get support directly, then you have to seek for the ways to obtain it. In the similar way, he figured methods that would let him accomplish his task. A deep crave to establish his place in the field of chemistry got him a Nobel Prize in Chemistry for his work on acyclic compounds. His fragile health de-catalyzed his journey as harmful fumes may cause more damage. Yet, going with the flow, he served as an assistant in the organic laboratory and gradually got appointed as an extraordinary Professor. Decorating the chair of Pharmacology, he made way for discovering iminochlorides by the action of phosphorus pentachloride. Not stopping just because he didn’t get any opportunities, he succeeded in living his passionate life. The world can witness a new change and wrap it with the flavor of innovation only when something new and something different is carved in your minds. If you want to bring in something, then it is purely possible only when you create it in your mind first, feel it and then implement it. Gifting your idea for the world to benefit from definitely adds great sense of responsibility and value to your life. Only you would precisely know what you what you want to create including very small detail. Therefore, it is quintessential for you to visualize the miniature of your masterpiece in order to technically demonstrate it to the world. Sir Frederick Henry Royce, an English engineer and car designer founded the Rolls-Royce Company. Born in Alwalton, Huntingdonshire, the youngest of their five children sold newspapers and delivered telegrams sue to the loss of his father’s life. Having obtained only a year of formal schooling, he started an apprenticeship with the Great Northern Railway Company. He then analyzed his strengths and wanted to realize them and it marked his start to uncover the power of his imagination skills. His increasing interest in learning and knowing more about motor cars founded his decision to reconfigure 1901 two-cylinder car. This encouraged him to slowly engineer a car all by himself. Rolls-Royce Limited Company was a dream of his which he gave life to by igniting it with the spark of thoughts. .
How do you think you can grow tall? Acting in right way is one of the answers. But actions take form only by thoughts. It is your mind and mindset which shape the physical state of you which enables you to put forth your action. There cannot be any progress when there is no plan made. The ideas you get by a highly prolific thought process fetch you all that you need to deserve your desires. Action certainly is a mirror which reflects the mental and psychological you. We need a map to explore our path taking us to our destiny; and this map provider is our keen and rich thought process with all the ideas and plans in it. Admiral Sir Edward Augustus Inglefield , a Royal Naval officer focused and used the power of exploring mentally before doing it physically, to reach and locate various regions on the planet which otherwise would remain hidden. These unexplored areas include Baffin Bay, Smith Sound and Lancaster Sound in the northern Canadian coastline. 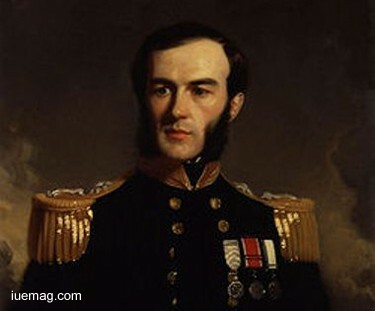 Strength of his highly talented creative ideas led him to invent the marine hydraulic steering gear and the anchor design, named in his honor- The warship HMS Inglefield. Commanding 3 Arctic expeditions, he pioneered the skill of arctic photography. Respecting his successful fulfillment of the responsibility given to him, Royal Geographical Society awarded him its 1853 Patron's Medal. 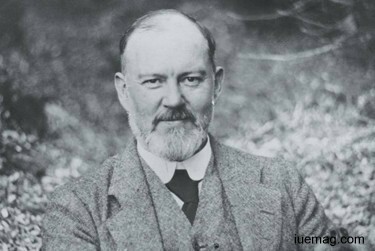 He is remembered for uncovering a lot of areas by conducting and participating in numerous surveys and expeditions. 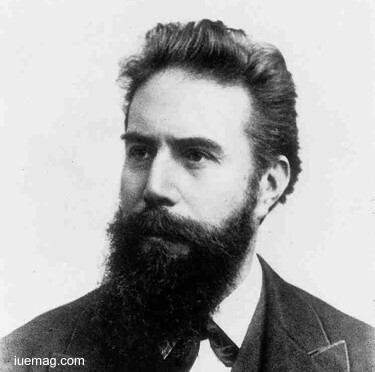 Nothing can stop one from achieving and Wilhelm Conrad Röntgen practically meant it. Tasting success was not just his desire but it was a part of him. Skinning the abilities to crack the riddle which life gives you is a result of past experiences, teaching of the fame holders and strength to withstand all the toughest of the toughest situations and circumstances which roof our life. His potent decision making qualities and righteous attitude to overcome the negatives rose high up to penetrate through this roof for reaching the sky of success. He never waited for or expected help from the external sources. The believed in himself and moreover, he was very strong and stable which may be called stubborn, to fulfill his ambition of life at any cost. This highest degree of will power founded his entry into the list of great, famous and motivating leaders and achievers. 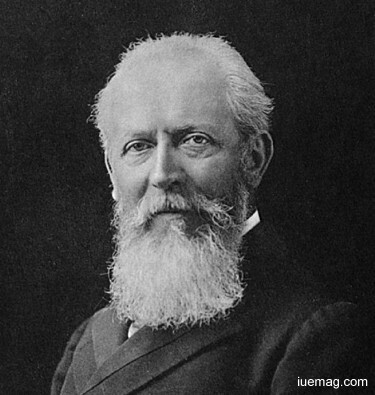 Mechanical engineer and physicist was a reason the discovery of electromagnetic radiation in a wavelength range known as X-rays or Röntgen rays. It was these serious and sincere efforts which fetched him the first Nobel Prize in Physics. Success truly embraced him: International Union of Pure and Applied Chemistry (IUPAC) named a radioactive element 111, roentgenium. He was not born with any special cognition, but showed love towards his interest which later gave a different aspect to his life. We all need an external push, motivation and support to encourage us to achieve what we want to. These stories would have surely provoked thoughts to go all out and achieve. Never forget that inspirational pills like these have the power to make you do anything in life. Don’t forget to comeback when you need another dose! Any facts, figures or references stated here are made by the author & don't reflect the endorsement of iU at all times unless otherwise drafted by official staff at iU. This article was first published here on 27th March 2017.